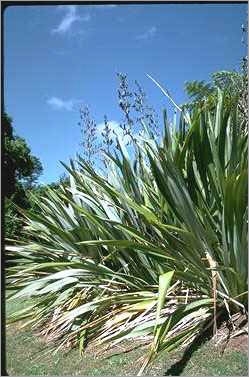 Native to New Zealand, Phormium tenax grows large tufts of broad, sword-shaped, stiffly ascending leaves. It does best in temperate climates and is a perfect companion for palms, bamboos and tree ferns. It is extremely tolerant of wind and can take coastal exposure as well as severe freezes.